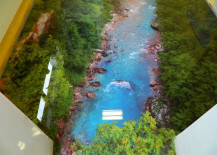 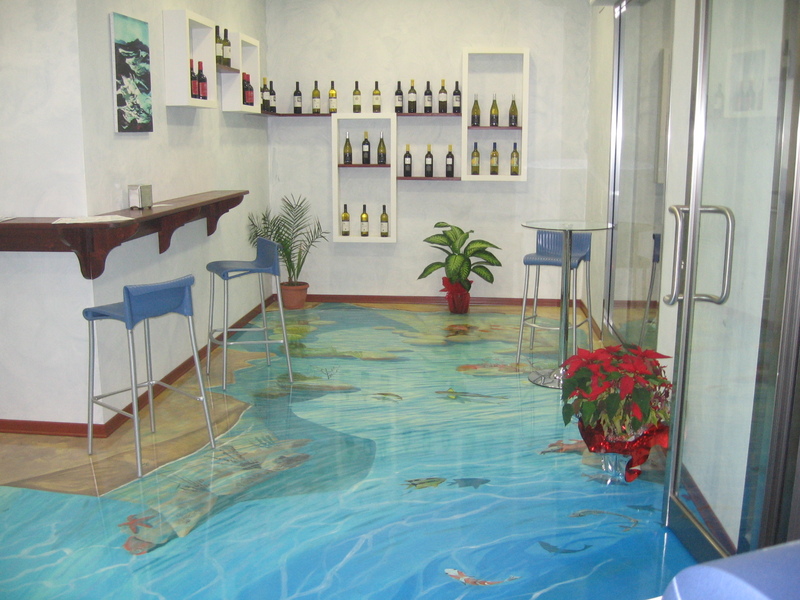 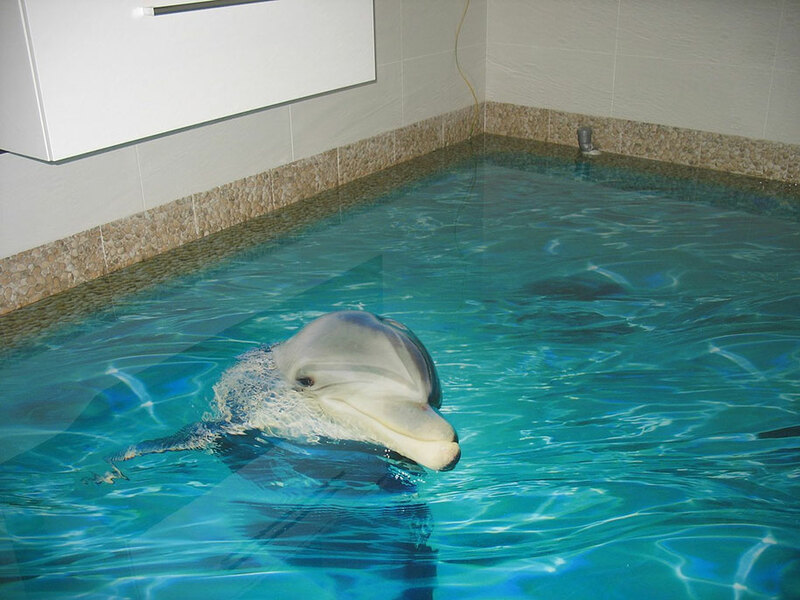 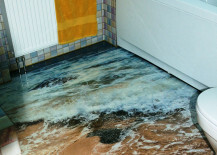 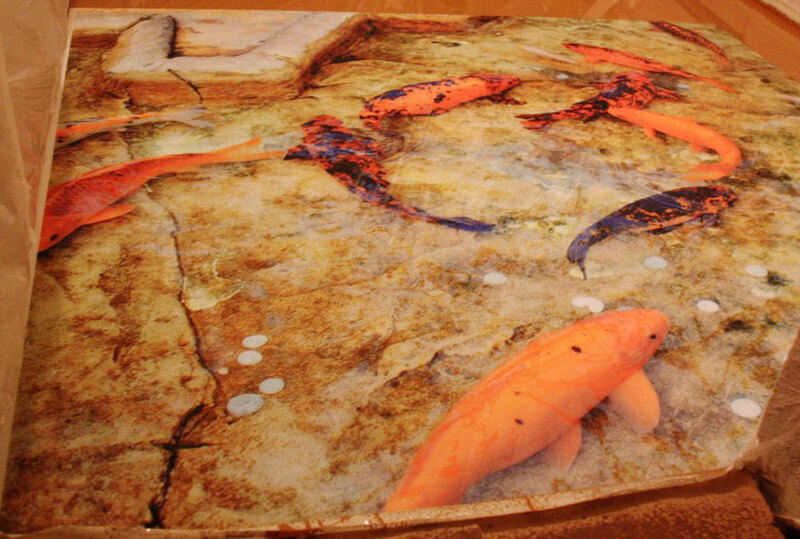 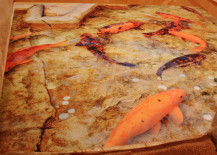 Whether you’ve got wood, tile, laminate, or even rubber flooring in your home, it probably won’t ever compare to the mind-blowingly realistic 3D epoxy floors seen in the photos below, offered by the Dubai-based company Imperial Interiors. 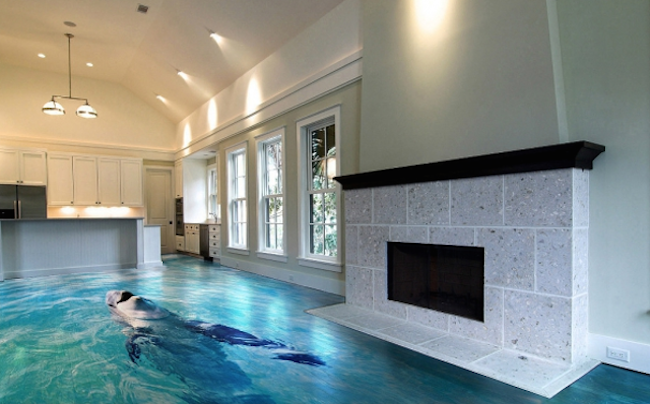 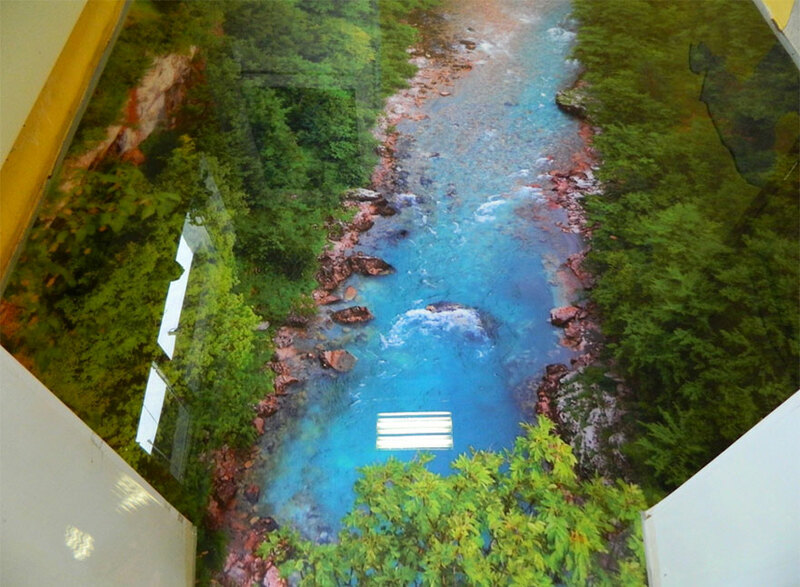 The flooring incorporates angled images along with multiple translucent layers to achieve the incredible 3D effect. 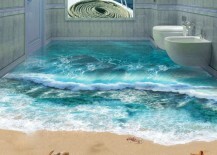 The result? 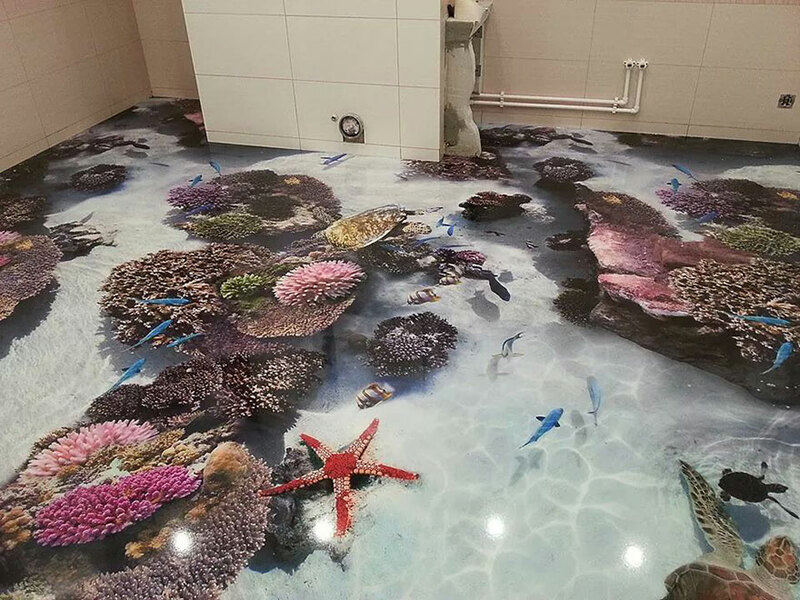 Plants, animals, fish, coral, and even waves that look like they’re popping up from below as you walk into the room! 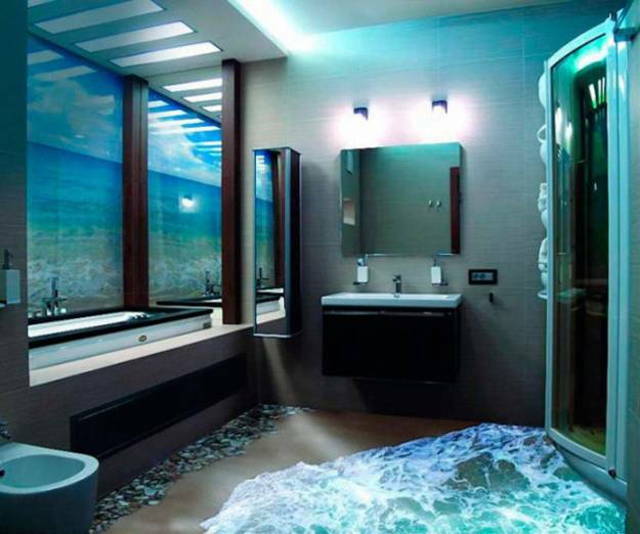 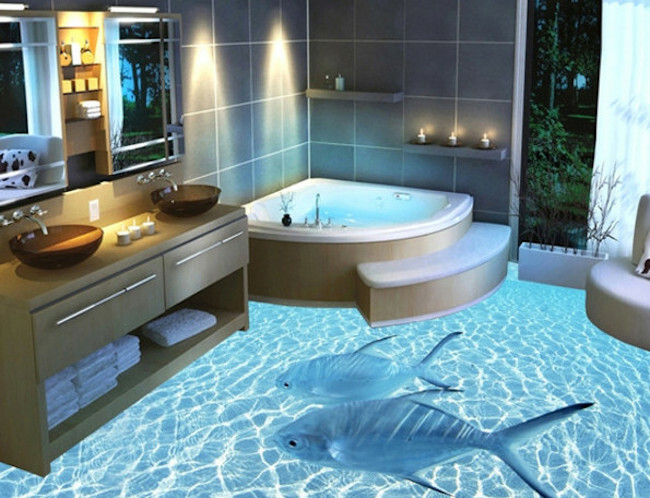 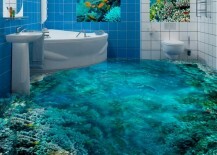 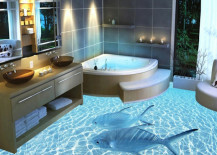 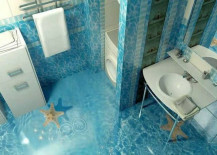 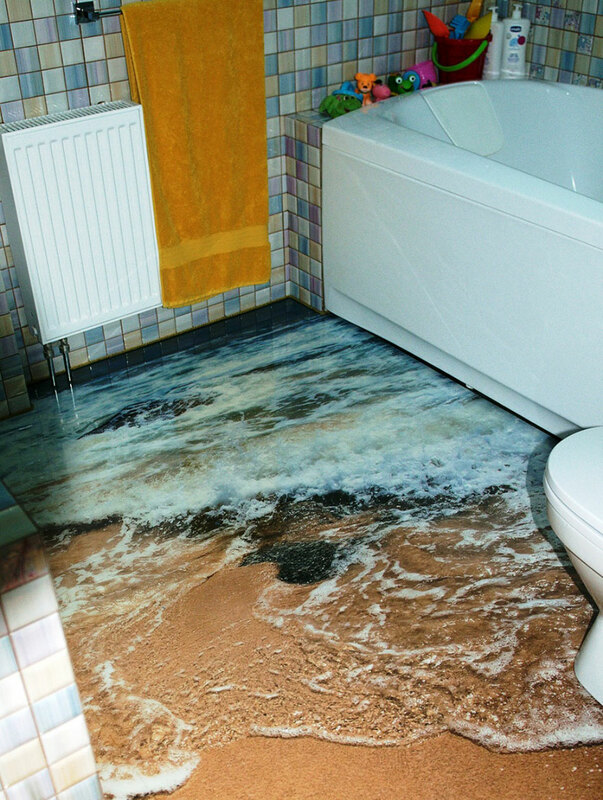 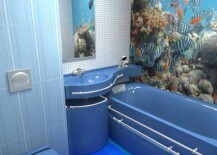 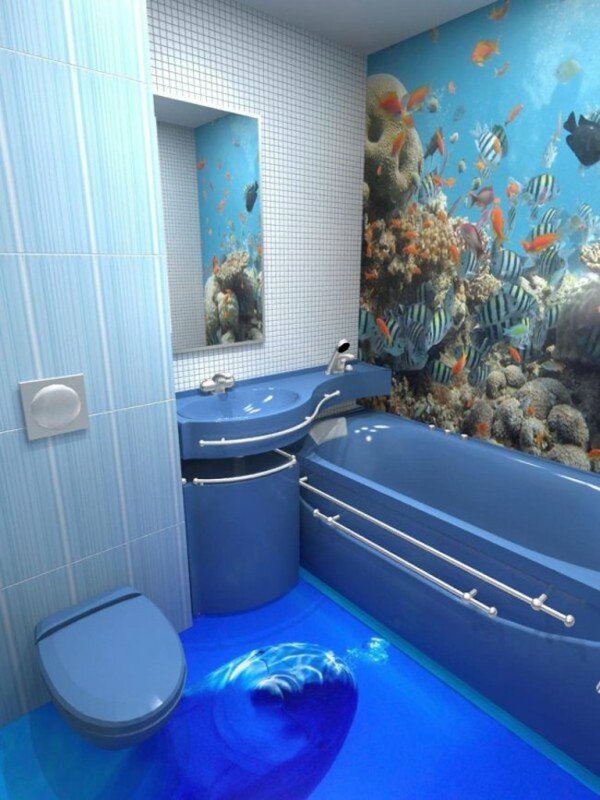 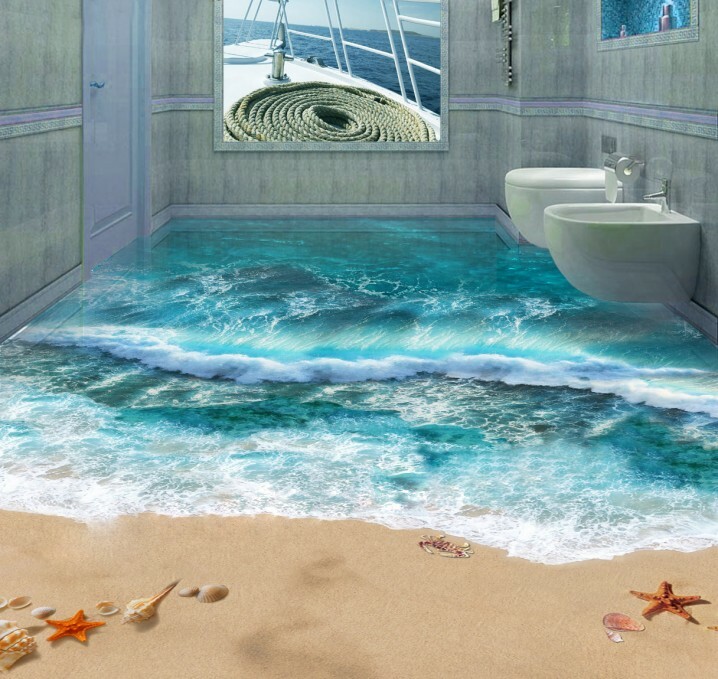 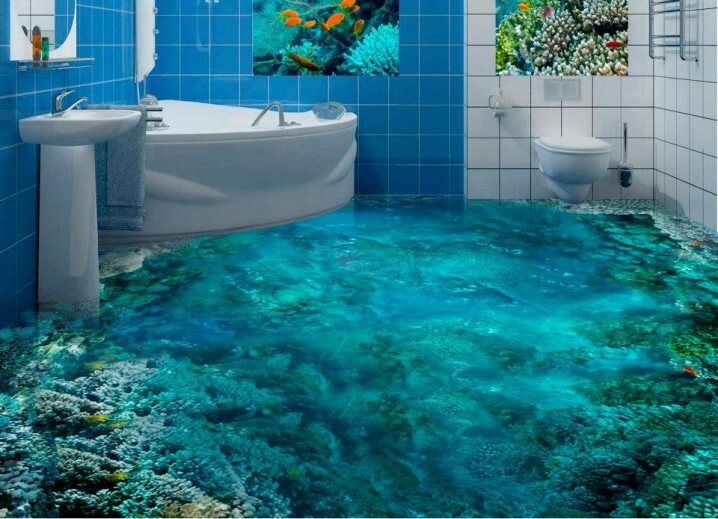 By far, one of the coolest place to use this type of flooring has to be the bathroom — mainly because of the impressive ocean or coral reef scenes that are such an appropriate fit for this type of room. 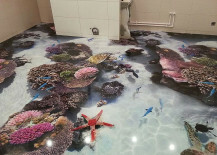 Any image you want displayed is printed on a very specialized photo printer and then set to the size and pattern of the floor. 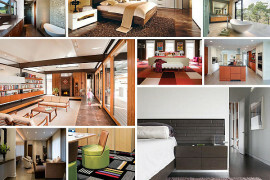 So no matter how big, small, or awkwardly shaped the room is, it can still work. The bathroom’s a good start, but there’s so much more you can do if you’re willing to get creative with other rooms in your home. 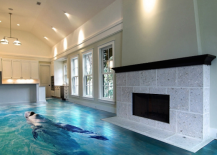 To really embrace this wacky 3D flooring trend, why not take it into the spaces of your home where you spend even more of your time? 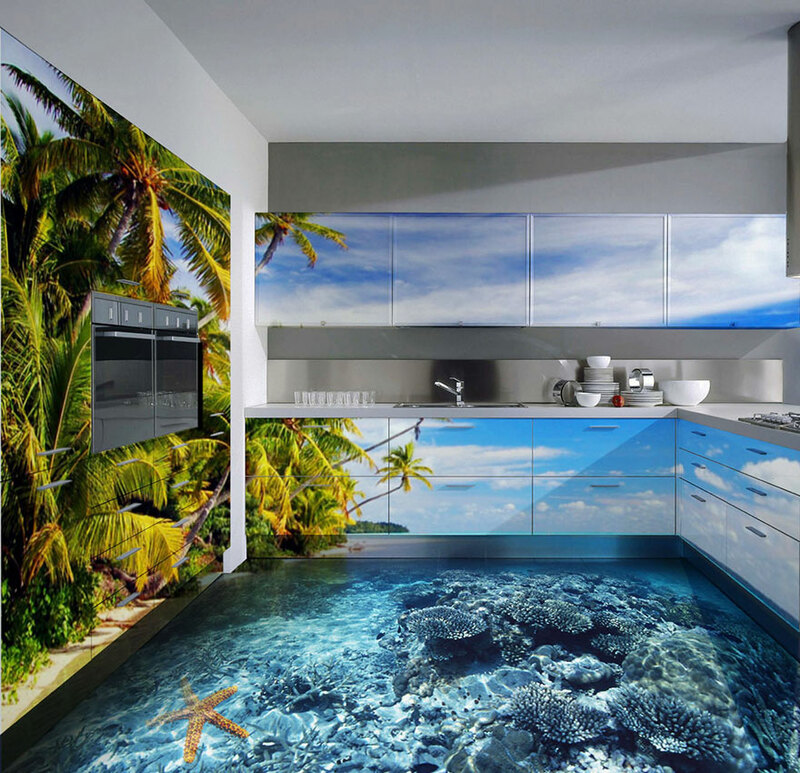 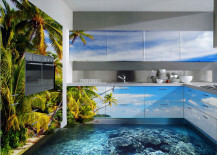 Check out the kitchen that really kicks the whole design up a notch by using palm trees and a skyline on the cupboards, in addition to the shallow coral reef flooring. 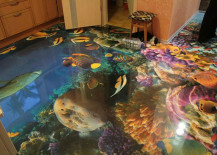 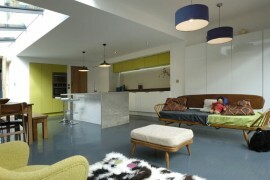 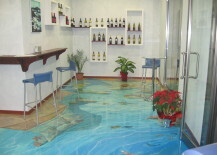 The possibilities are truly endless with this type of flooring. 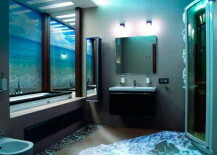 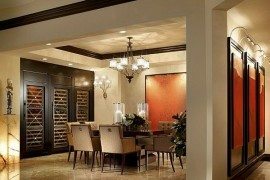 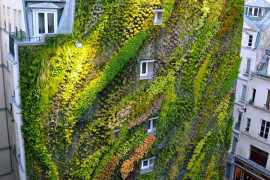 While water and aquatic life seems to be the popular theme of choice at least in these examples, there’s no reason why anyone couldn’t use other natural forms scenery, city skylines, shapes, or objects to create an entirely unique and eye-popping look in any room. 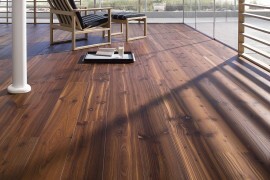 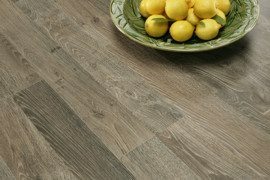 Here are a couple more flooring ideas that take some different routes in terms of color, detail, and overall scenery.